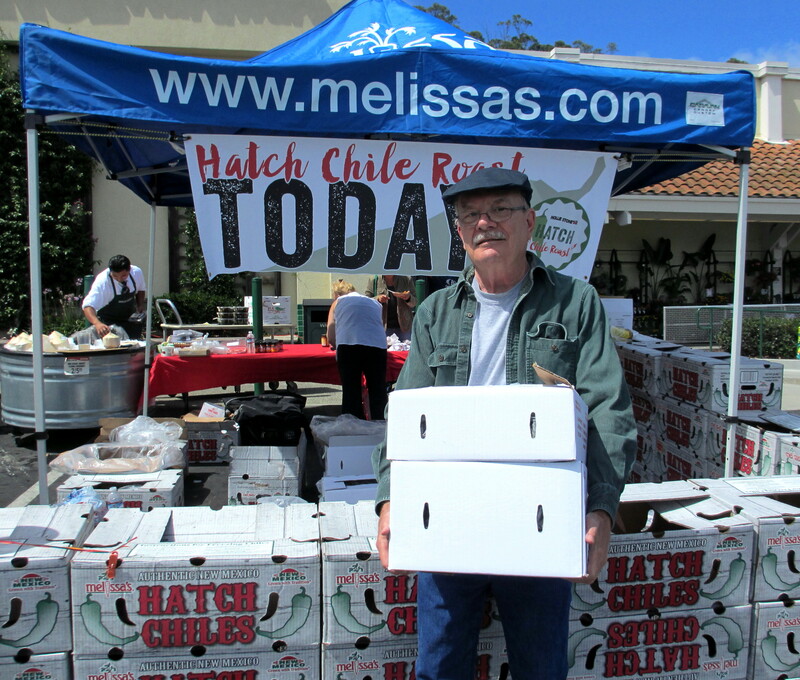 This morning, my husband and I attended Mollie Stone’s Hatch Chile Roast in San Bruno, CA. My husband was introduced to the Town of Hatch during a brief six month work-related visit in Las Cruces, NM. 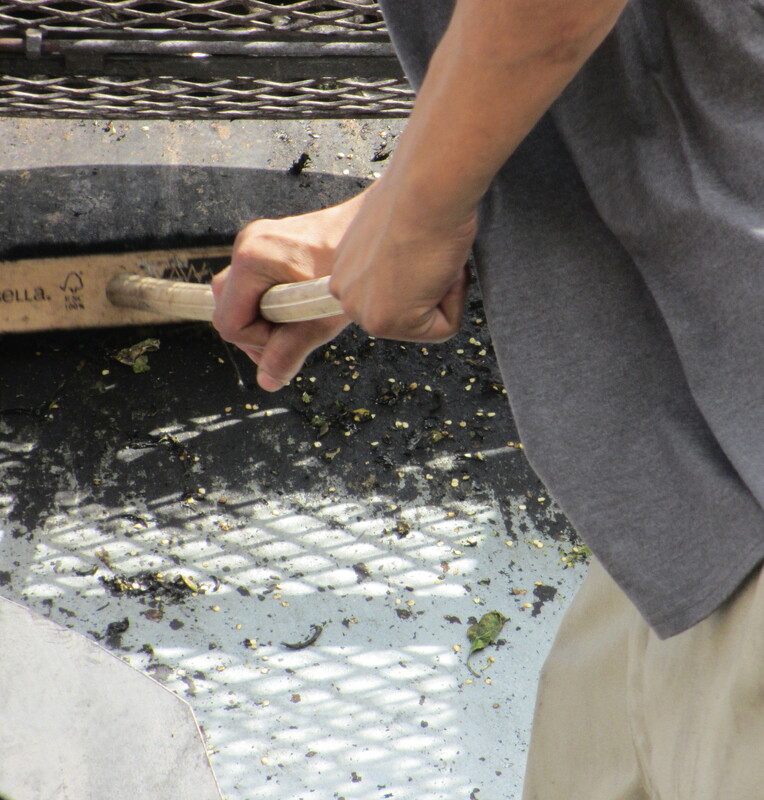 He tasted various local cuisine flavored with Hatch chiles and has remained a fan of this wonderful delicacy. 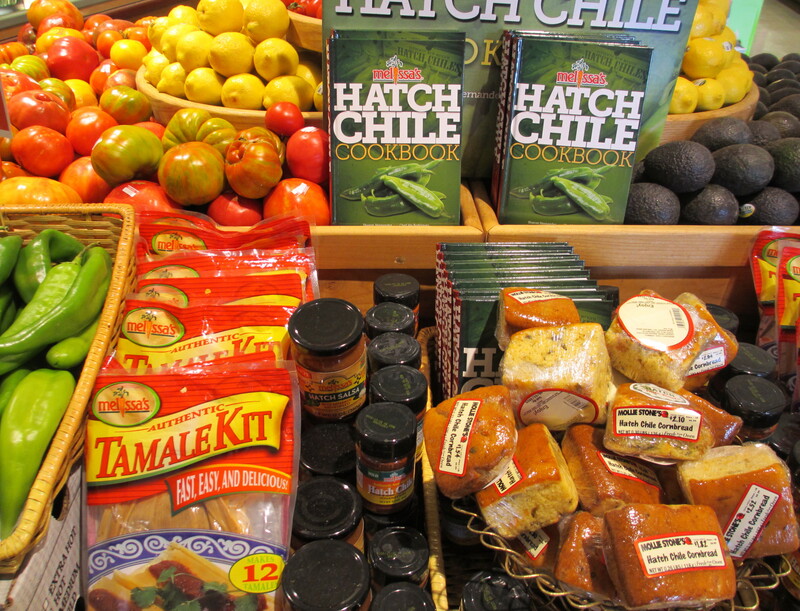 The harvest season for Hatch Chile runs from August into early September. 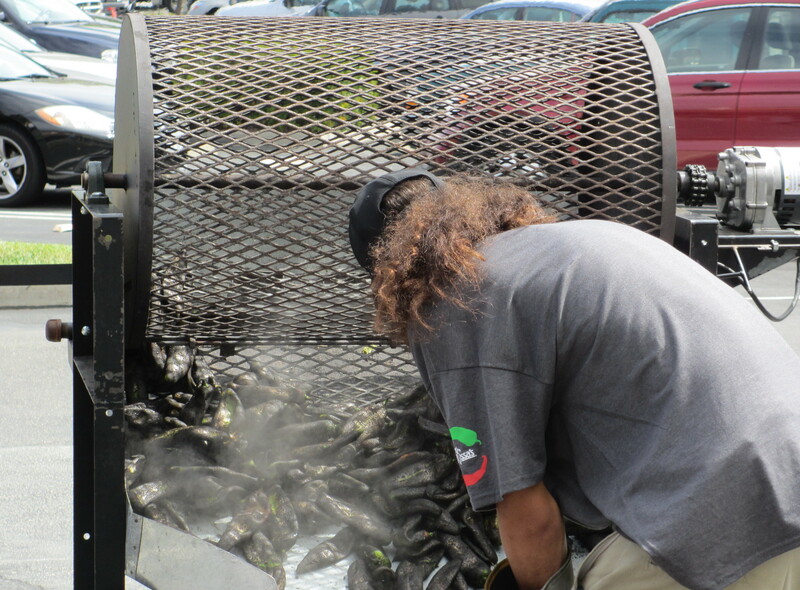 As we exited our car, we were drawn to the roasting of the chiles. 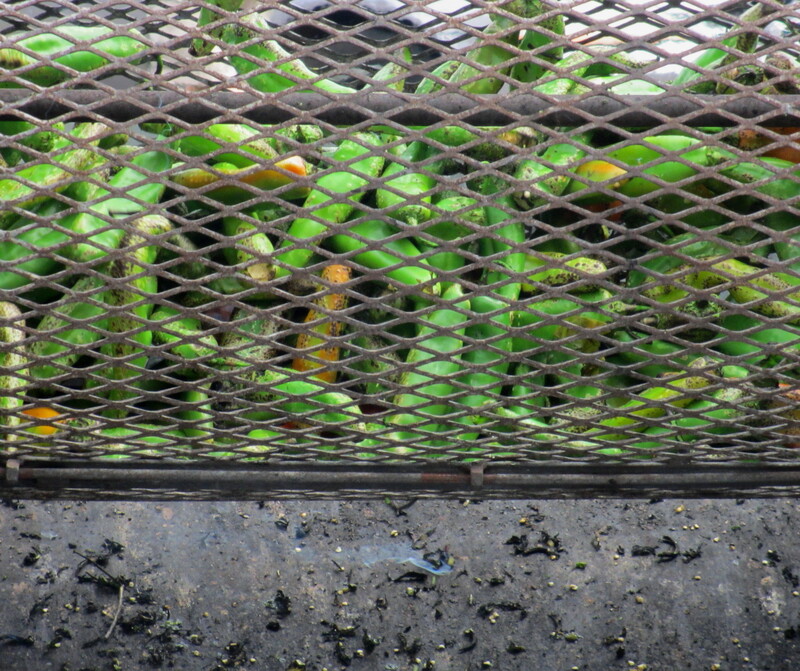 The green chiles were placed in a rotating wire mesh bin heated with propane. As the chiles roasted, some pods burst leaving seeds. Roasting completed and chiles were immediately put in a large plastic bag enclosed in a box. Here are free tasty mouth-watering samples prepared by Mollie Stone. 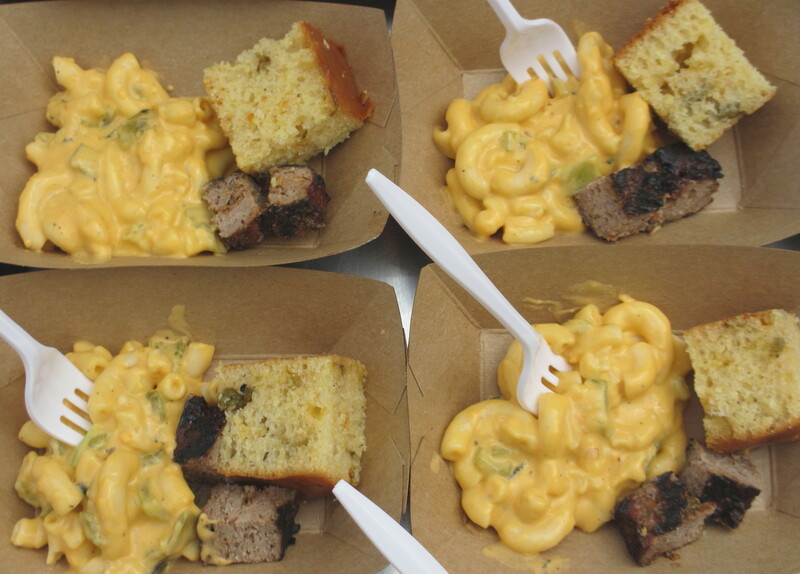 The Mac ‘N Cheese, Cornbread, Meatloaf and Chile Relleno Casserole were yummy! By the time we were finished taste testing, our 20 lb. order of medium and hot chiles were roasted and ready. There are a few recipes we plan on cooking. I’m interested in baking Hatch Chocolate Chip Cookies. Previous Previous post: Does Yarn Color Have A Shelf Life?